I love this movie specially because Stanley Kubrick directed. It was made in 1968 inspired on the novel of Arthur C. Clarke and if you watch it nowadays it seems like it was recently made. It’s amazing what Kubrick created with simplicity and criativity, he shoots scenes that make everybody wonder how the hell he done that. It is the most beautiful and well done movie that I ever watched. The movie has the biggest jump of historical scenes on the history of the Movies, it goes of the chip stone time till 2001. I already wactched this movie fourteen times and I steel watch it when i’m in a good moon to discover some subliminal things behinds that amazing scenes. By watching this movie so many times I realized that it’s more than a scientific-fiction movie, it’s a political and a spiritual movie. To understand some scenes you have to know some information about the time that it was made and wath were the expectations about the future of the modern society. I had to watch some scenes tree or four times just to understand what Kubrick was trying to say to the world. There are some details that you only see if you watch it more than one time, that’s why I love this movie, till today he cause mistery and doubts on the expectators minds, there are books and documentarys that trys to explain something that can’t be explained it has to be understandable and it can cause some conformism too, on people who see the movie like a prediction of the future and not a logical thinking about where the chaos of capitalism and technology would lead the human beeings. It’s a complex and deep movie, it’s slow and don’t have too many dialogue (Kubrick prooved that dialogue it’s not so important to show something), I’m sure that people who didn’t like the movie has some trouble in dealing with the true. 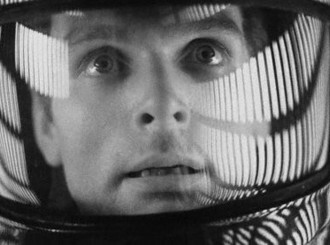 It’s hard to admit that Kubrick was right because normally the true hurts and this film shows a cold and amazing true. “My mind is going” that’s one of the most importants dialogue on the movie that shows a highly inteligent computer loosing his conscious, like a human brain loosing the power to fight against the wrong and unetical things on the world. I recomend this film to everybody, it has tree hours of movie and it’s important not to miss anything about the scenes, because a wrong interpratation can lead you to alienation. Unfortunately, Stanley Kubrick is not among my most beloved directors (he is one of Alexia’s most favorite ones). She was always trying to convince me to watch his stuff, but I was very reluctant to do so. I watched Eyes Wide Shut with Tom Cruise and Nicole Kidman and I hated it. I watched Artificial Intelligence and I loathed it. The only movie I liked by him was The Shining, but I think it has to do with the fact that I really admire Jack Nicholson’s actiing. But I’ll tell you what. 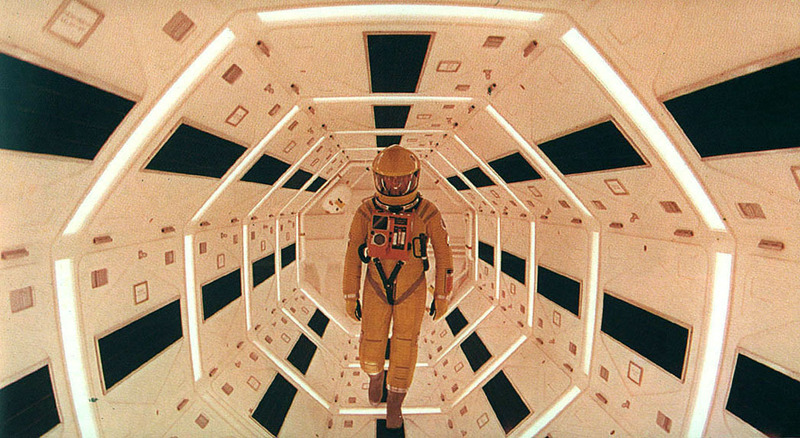 Alexia and I were discussing Kubrick last night on the Internet and she really made the point of me giving 2001 a try. If she and you think that the movie is THAT great, maybe I should give it a try. hey rick…if you are really intersted in watching 2001 I could give you some tips for you understand some complex thing behind this movie, or maybe you could see something that I didn’t and you could help me to understand better this amazing movie.